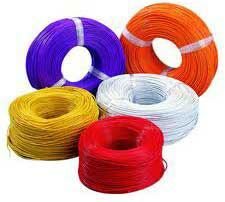 The company is primarily engaged in the manufacturing and wholesale supplying of PVC Wires all across the country. The PVC Wires, that we provide, are majorly demanded in sectors like Automotive, Domestic, and Industrial. These PVC Wires can be availed from us in a wide range of designs and other specifications.